Published 10/19/2018 . Last updated 10/25/2018 . These apple cupcakes are favorites every fall in our household. They are like eating an apple cobbler in cupcake form. I make my apple cupcakes with brown sugar and load them up with fall spices like cinnamon, nutmeg, allspice, ginger and cloves. I also always add lemon zest to my apple desserts as it brightens up the flavor and gives them a little zing! Which are the Best Apples to Use in Apple Cupcakes? I like to use tart apples that hold their shape. I don’t want apple mush in my cupcakes; I want recognizable apple bits. Honeycrisp, Granny Smith, and Red Delicious apples are all great choices, but there are so many others that will also work well. 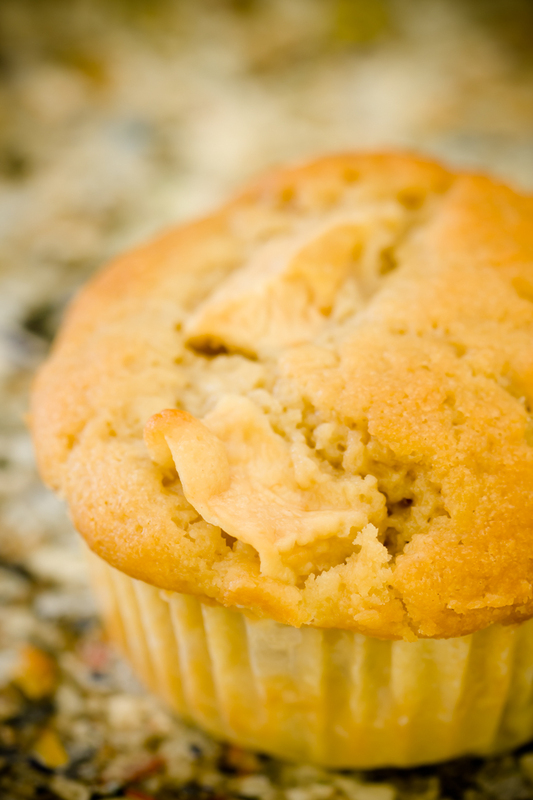 Tip: There is no need to peel the apples before use in apple cupcakes. I don’t peel them in my apple crumb pie, either! Over the years, I’ve experimented with lots of different frosting recipes for my apple cupcakes. Vanilla cream cheese frosting and a caramel drizzle is a classic choice. That’s the recipe I share in this post. Cream cheese frosting is always a win for me, but if you prefer buttercream, try my vanilla buttercream frosting. 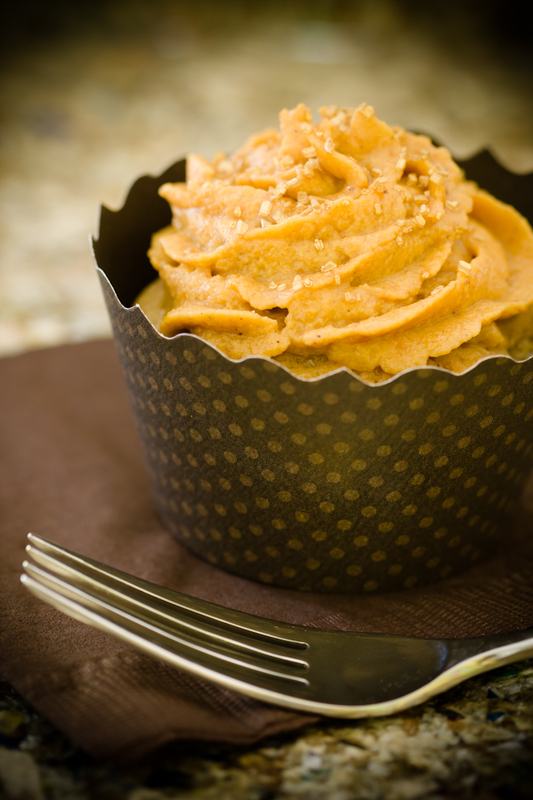 One of my favorite ways to frost apple cupcakes is with pumpkin frosting (shown below). I make that using actual pumpkin pie! Apple cupcakes are also wonderful with a crumb topping. When you make them that way, you can actually serve them for breakfast and call them apple muffins. Why Do Cupcakes Peel Away from the Liners? Apples cut this size may cause the liners to pull away from the cupcakes. If a big piece of apple is right up against the liner, it won’t stick to the liner in the same way that the cupcake batter would and the liner will peel away. You can avoid this by cutting the apples into smaller pieces. using cupcake wrappers. Cupcake wrappers go over cupcake liners after baking. using baking cups instead of cupcake liners. This recipe uses sour cream. The sour cream gives the cupcakes a subtle tang that enhances their flavor while also adding more dairy/fat to the recipe. You could even use flavored yogurt as a recipe twist! In a medium-sized bowl, whisk flour, baking powder, baking soda, and cinnamon, ginger, nutmeg, cloves, and allspice. Beat butter and sugars in a large bowl until light and fluffy. Beat in eggs, sour cream, vanilla extract, and lemon zest until blended. Mix in flour mixture a little bit at a time until just combined. Divide batter evenly among 12 cupcake liners (they will be filled almost all the way to the top). In a medium-sized mixing bowl, mix the butter and cream cheese until light and fluffy. Mix in the powdered sugar a little bit at a time until fully combined. You can experiment with different sizes for the apple pieces. If you like chunks of apples in your desserts, cut them into 1/2 inch pieces. You can also cut them into smaller pieces or matchsticks if you want them more integrated into the batter.